The terms in this section for the purposes of sections 332.31 to 332.45 shall have the meanings given them. business of collection for others any account, bill or other indebtedness except as hereinafter provided. It includes persons who furnish collection systems carrying a name which simulates the name of a collection agency and who supply forms or form letters to be used by the creditor, even though such forms direct the debtor to make payments directly to the creditor rather than to such fictitious agency. Subds. 4, 5. Repealed by Laws 1979, c. 144, § 7. Minn. Stat. Ann. § 332.31 (West, WESTLAW through the laws of the 2005 Regular Session effective through June 1, 2005). (3) the agency’s collection activities in Minnesota are conducted by means of interstate communications, including telephone, mail, electronic mail, or facsimile transmission. Minn. Stat. § 332.3351 (West, WESTLAW through the end of the 2011 First Special Sess.). • loan or finance companies unless they are engaged in asserting, enforcing or prosecuting unsecured claims which have been purchased from any person, firm, or association when there is recourse to the seller for all or part of the claim if the claim is not collected. 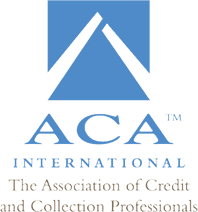 (b) The term “collection agency” shall not include a trade association performing services authorized by section 604.15, subdivision 4a, but the trade association in performing the services may not engage in any conduct that would be prohibited for a collection agency under section 332.37. Minn. Stat. § 332.32 (West, WESTLAW through Laws of the 2012 Reg. Sess. ).